Can’t Remove Pending Reward for Loyalty pop-ups? Are you tired of seeing the “Pending Reward for Loyalty” pop-ups? Or, you might be tempted to click on one? Don’t do it! These messages are fake. They are a part of a new online scam. The scheme is designed to lure you into revealing personal and financial information. Close the pop-ups and exit the page that displays them. If you cannot do so, use your Task Manager to close your browser and start a new browsing session. If the “Pending Reward for Loyalty” pop-up reappears, scan your system for parasites. These unwanted messages, ads and new tabs are usually opened by PUP parasites (Potentially Unwanted Program). Don’t get confused by the name of the category. You don’t want to have to deal with a PUP for sure. These apps are intrusive, ad-generating parasites. They use tricks to enter your system unnoticed. Once on board, they waste no time and corrupt all installed browsers. Chrome, Firefox, Opera, Edge, there is no immune program. The parasites take over them and your browsing experience. The PUPs display adverts on every website you visit. They get paid when you click, so they flood you with countless coupons and discounts. If you, however, refuse to click, the parasites start browser redirection. They load sponsored pages in new tabs and windows. That’s the tricky part. The promoted pages, more often than not, are scam websites like the “Pending Reward for Loyalty” one. There are numerous scams run through PUPs. The “Pending Reward for Loyalty” pop-ups did not fool you. Yet, with a parasite on board, there will be a next time. And you might not be that lucky. Do not risk it! Remove the PUP before it gets a chance to lure you into an online trap! The “Pending Reward for Loyalty” pop-ups appear courtesy to a parasite. The question is: how did the PUP manage to enter your OS? Well, the answer is quite simple. You installed it! No, this is not a bad joke. The parasite tricked you into installing it. It hides in software bundles, torrents, fake updates, and spam messages. The PUP lurks in the shadows and waits for you to make a mistake. All it needs to succeed is one second of carelessness. Don’t make its job easier. Choose caution over recklessness. One keeps the parasites away, the other – invites them in. Bear in mind that no anti-virus app can protect you if you act recklessly. Always take the time to do your due diligence. Don’t visit shady websites. Download your software from reputable sources only. When available, use the advanced setup option. Most of the apps we download off the web come bundled with bonus programs. The extras are often parasites like the PUP behind the “Pending Reward for Loyalty” pop-ups. You can prevent the unwanted apps from installing only under the advanced installation. Make sure you know what you install. Deselect all suspicious programs. Abort the installation if you have to. Don’t let other parasites trick you ever again! The “Pending Reward for Loyalty” scam might not seem too dangerous. It did not trick you. The thing is that you might not be that lucky the next time. If your computer harbors a parasite, the next scam you encounter will be tempting. The PUP, after all, collects information about you. This parasite monitors your browsing-related data. It knows your every online move. Which websites you visit, what links you tend to follow, what videos you watch. The PUP uses the collected data for ad-targeting, as well as sells access to it. Anyone willing to spend some money can access and use the information. Numerous crooks are more than happy to pay. They use the information to create customized scams. The crooks show you what you want to see, but when you click, bad thing happen. Do not test your luck. The PUP is very likely to redirect you phishing and infected websites. This parasite is a breach of your security. Remove it ASAP! The sooner you clean your system, the better! How Can I Remove Pending Reward for Loyalty Pop-ups? STEP 3: Permanently Remove Pending Reward for Loyalty from the windows registry. Pending Reward for Loyalty may have the ability to replicate itself, if not completely cleaned. This may require tracking down hundreds of files and registry keys. 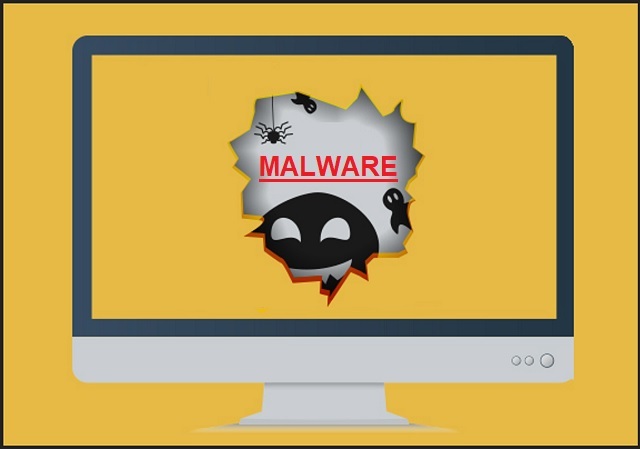 You can choose to use Spyhunter Professional Anti-Malware Program to deal with any infection that might be lurking along with Pending Reward for Loyalty! This article was published in Removal and was tagged fake alerts, Potentially Unwanted Program, scam. Bookmark the permalink for later reference by pressing CTRL+D on your keyboard.